To put this in the terms of Dani Rodrik’s globalization trilemma, the argument is that the natural direction of human history is to choose economic integration and democratic politics over the nation-state. It seems that this was Rodrik’s own hope when he originally formulated the trilemma, though recent events like the UK’s vote for Brexit have made that direction seem much less inevitable. Shiller seems to think of political change as a kind of widening circle of intellectual empathy: over time, the boundary of empathy widens from your immediate neighbors, to include people of different races, different religions and eventually different nations. All communities larger than primordial villages of face-to-face contact (and perhaps even these) are imagined. Communities are to be distinguished, not by their falsity/genuineness, but by the style in which they are imagined. Regardless of the actual inequality and exploitation that may prevail in each, the nation is always conceived as a deep, horizontal comradeship. Ultimately it is this fraternity that makes it possible, over the past two centuries, for so many millions of people, not so much to kill, as willingly to die for such limited imaginings. For the nation-state to become politically irrelevant in the way Shiller suggests, it is not enough for people to be polite to the foreigners they see on their computer screens. 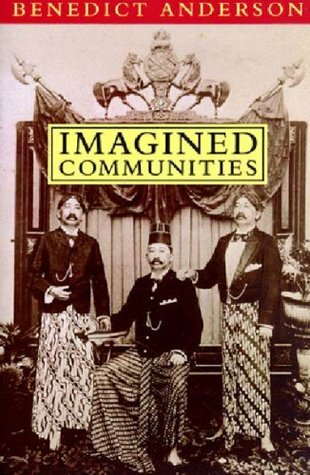 Rather, the nation-state would have to be superseded by another “imagined community.” And this is a little difficult to (ahem) imagine. What new social institutions are now creating shared experiences that could eventually supersede the nation-state? Many early nationalisms were based on shared experiences of imperialism and colonialism. So it makes some sense to argue that the nation-state’s successor is being bred by the experiences produced by the contemporary strain of global capitalism. The multinational corporation is the example favored by Shiller; another obvious one is the European Union. The much-remarked age difference in the UK’s Brexit vote–youth overwhelmingly voting to remain–could perhaps be an early sign of changing attachments. A new generation, raised in the reality of a united Europe and taking pan-European travel and job opportunities as their rightful birthright, perhaps is indeed starting to imagine a community that supersedes the nation-state. But is a multinational Europe (or Nafta, or whatever) in fact a community, or just a much wider field on which individuals pursue economic self-interest and career advancement? Do the participants in these multinational zones really see themselves as a community–are they forming emotional relationships rather than just engaging in arms-length market exchanges? I am not saying the answer is obviously no, but neither is it obviously yes. In themselves, market-zones, ‘natural’-geographic or politico-administrative, do not create attachments. Who will willingly die for Comecon or the EEC? ← Previous Post Which Chinese people are more likely to marry foreigners? All of which already exist to some extent and always did, but they had some loss of salience in the nationalist era. For that matter, dynastic allegiance may not have gone away. Not for the first time, I wonder if science fiction has not shown the way. That and the work of the some of the English school IR theorists like Hedley Bull and others who characterized the future as some form of ‘neofeudalism’. There are degrees of neofeudalism of course. I hope not to live long enough to be indentured.